Everyone wants to make more money. But many feel that to do so, they must sacrifice their lifestyle and work at a job they don't particularly like. In fact, if you're like most people, your life is likely filled with activities, obligations, and commitments that have nothing to do with your goals or your dreams, your life's mission, or the things that you love. But it doesn't have to be that way. Aaron breaks life down into six pathways, and then sets out a simple but highly effective system for you to set goals in all six categories every month. Using his MTOâ„¢ system, he teaches you how to set each goal at three levels - Minimum, Target, and Outrageous - so that you can always have some level of success (and often it is the Outrageous success of your dreams). As you follow his powerful system, you will find yourself beginning to achieve measurable successes, month by month. When you track your successes, you will see yourself begin to move ever closer to fully creating, and then living, the life you want - the life of your dreams. Even if you have no idea what your life mission is, one of Aaron's processes will help you to actually identify it. You can then begin to make good decisions about who and what you want in your life, based on how they support or don't support your life's mission. You will see your life inexorably moving forward in the exact direction of your choice. Unfortunately, most people hope for more but settle for less. 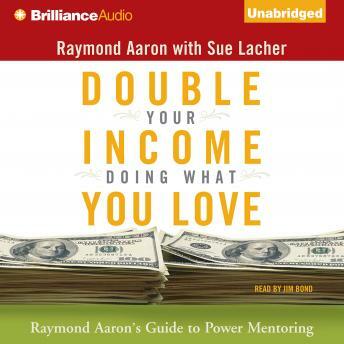 Raymond Aaron offers the tools to create a designed life, a strategically organized life, and a life that delivers to you what you want. It takes courage, but it is your right if you want it. This book will help you begin your new life and achieve the success you desire.